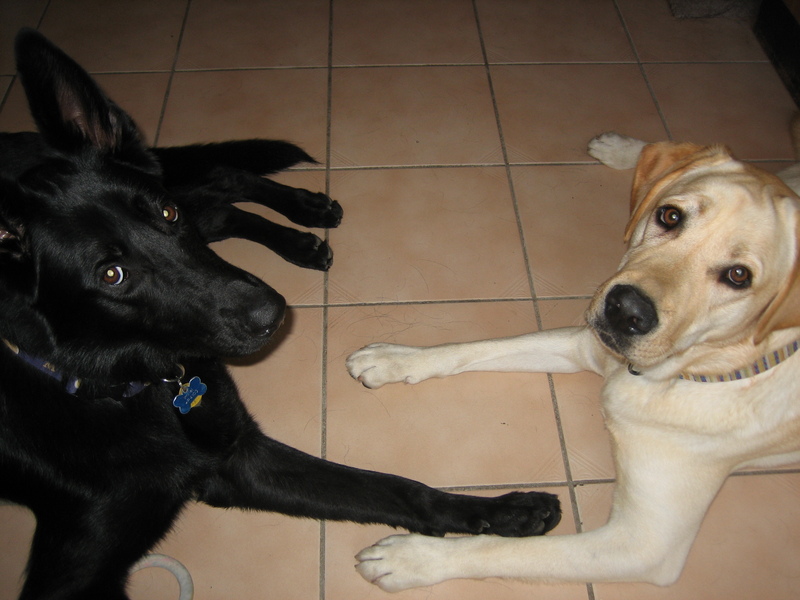 It was at Service Dog G’s house that I received the dreaded phone call from GDA, letting me know that Truman had been “career changed,” and asking if I intended to adopt him (read the whole story if you like). To make a long story short, Wolf and I picked him up a few days later and brought him back to a very crowded house. Truman and G were already friends, and it didn’t take long with Imriel, either. It was quite the fun-filled few days. 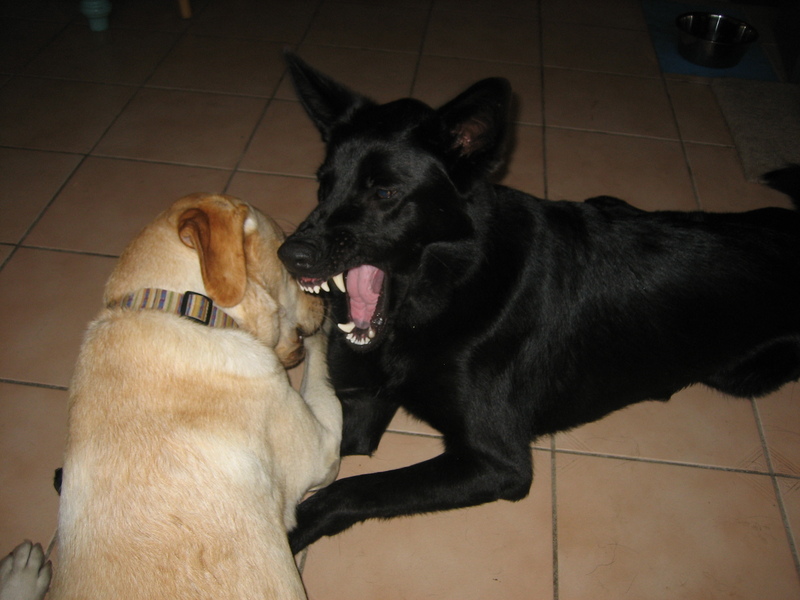 Imriel is now career changed himself, and living happily with his original puppy raiser. I still think of him occasionally, with great fondness. 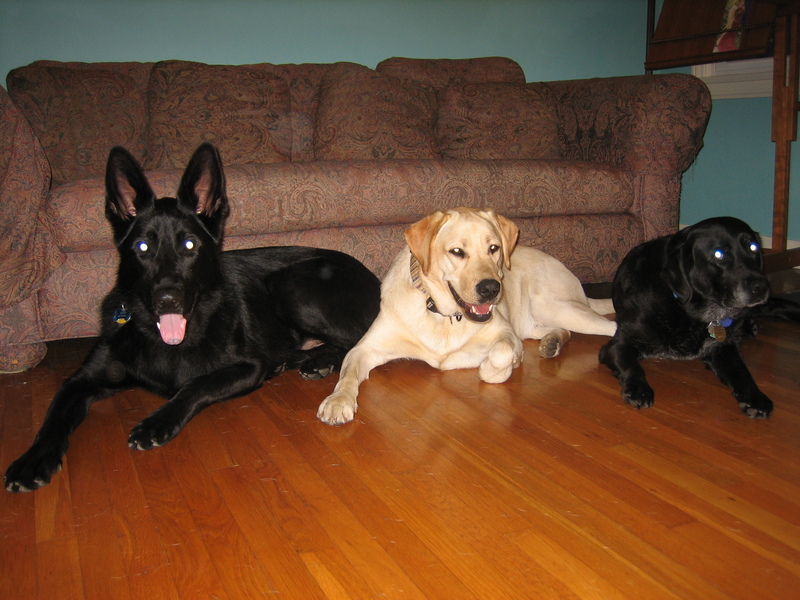 This entry was posted in Career Change, German Shepherds, Labs, O.P.P. (other people's pups), Service Dogs, TRUMAN. Bookmark the permalink. Bummer. I hoped Imriel had made it through training.